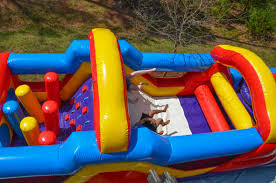 The Monster Obstacle Cours is has bright colorful theme of yellow, red, and blue, perfect for high traffic events. The Monster Obstacle course is set up for friendly competive play, with dula entrances and exits. 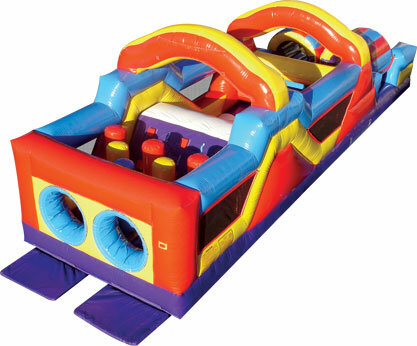 The Monster Obstacle Course inflatable play structure has a round front-loading obstacle entrance, taking participants through maneuvering pop-ups, over climbs and down the slides for exciting race from start to finish. 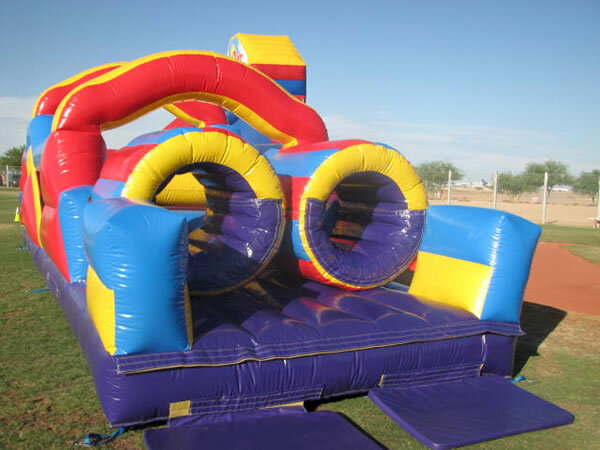 The inflatable Monster Obstacle Course then ends with a photo-finish pair of tunnels. Each inflatable play structure has mesh windows for easy viewing. Great for kids young and old!